Those who really care about the dads in their lives are already searching for the best possible Father’s Day gift that would make 2014 extra special. Some of the ideas recommended around the web include things like foods, cards, tech, and stuff from the Sharper Image, but skin care products stand out as unique gift ideas he’s sure to enjoy. For some people, the last thing they would think to give the man in their lives for Father’s Day is skin care, but there are a lot of reasons why it makes an excellent gift for any dad. Read on to find out why you should give him the gift of handsome skin this Father’s Day. With food, the man eats it and then the present is gone. With a tie, he might not even like it, or he might have a big collection of them already. It just doesn’t stand out as an impressive gift. But skincare products are a gift that continue to give because he’ll enjoy using them and he’ll get to see the beneficial results in his own skin. After all, men like to look good too, not just women. Having smoother, clearer, skin that is more handsome can uplift his spirit and make dad feel really good. That’s something that those who love him would want him to feel. That’s why skin care gifts are gifts of love. When Father’s Day rolls around, so many people focus on giving their dads the latest tech because they think devices make a cool gift. Skin care is an even cooler gift because it doesn’t break. The products we offer at Nefertari, namely Sothys for men are proven to be quality and have the power to invigorate a man’s skin. What more could be asked of the best Father’s Day gifts than that they make a man feel special. To really treat him, consider buying him a gift card for a Nefertari Skin Care Consultation so that he’ll not only have the products, but learn how best to use them. Giving a dad cologne for Father’s Day is common, so is giving him a grooming set or a new electric razor, but not many people think to give their dads high quality skin care products on Father’s Day. It’s a smart gift that takes men pleasantly by surprise. The special kit of skin care products Nefertari has available for men makes for the perfect Father’s Day gift. The products are manly enough to suit men’s style and effective enough to transform their skin. From the very first use he’ll know that this has to be one of the best Father’s Day gifts ever. It’ll help melt his stress away while improving the condition of his skin. Presenting the dad in your life with skin care this year could open up a whole new world of possibility for him. It could be that he’s been struggling with a skin care issue for a long time. This gift just might bring him the solution. A gift of Sothys skin care products could inspire him to care for himself on a whole new level. He just may find that these are the type of skin care products he’s been in search of for a long time. This is a gift he’ll surely be pleased with and that’s exactly what makes the best Father’s Day gifts here. Are Beauty Products for Christmas Gifts a Good Idea? While many people don’t hesitate to give out beauty products for Christmas gifts, others have their reservations. The thing that stops some from giving such a present is worry over offending the gift receiver, or buying something the person won’t like or use. The fact is that there’s tons of great beauty products available that make perfect holiday gifts. Actually, they can prove to be ideal gifts on any occasion, such as birthdays, anniversaries, graduations, and several others. When do beauty products make great Christmas gift ideas? Read on to find out. How well do you know the person for whom the gift is intended? This isn’t to say that you can’t give such a gift to a causal or business acquaintance, but it can help you decide what type of beauty product would be fitting as a present for them. When it comes to someone with whom you don’t have a very close relationship, stay away from corrective items as gifts. For example, it might be considered rude to give someone you don’t know very well blackhead remover or anti-aging cream. It could even be seen as an insult. Surely you see why. Gifts good to give someone you aren’t very familiar with are things like perfume, luxurious lotions, elegant, and body care sets. If high quality, these can make thoughtful Christmas presents that don’t cause offense and are likely to be used. Beauty products for Christmas gifts can prove to be the best idea ever when it’s a present for someone you know very well. It could be that they’ve struggled with skin care problems for a long time and you’re well aware of their suffering. Maybe they haven’t been able to afford the right solution and your Christmas present for them opens up the way for them to finally have the glowing, beautiful skin you know they deserve. Possibly they haven’t found the solution for their skin, but you’ve discovered something, like Sothys skin care products, that just might work and you want to encourage them to give it a try. Imagine how much they’ll thank you for giving them the gift of gorgeous skin. If you’re not sure about the type of skin they have or the beauty product that would make the best Christmas gift for them, then you might want to consider buying them a skin care consultation as a gift, or even something simple, like a gift certificate. Whether you know the person well or not, finding the perfect Christmas present ideas can always prove challenging. Often beauty products for Christmas gifts proves to be the best way to go. After all, this is one type of present that can last them for a very long time. Just be sure to insist on giving only quality products as gifts. Skin Care Gift Ideas for Holidays Season! The malls are crowded and your shopping list is long with special skin care gifts for the special people in your life. The holidays have arrived. Don’t forget a very special person. Treat yourself to the best skin care products available that will make you feel like you are at the spa in the comfort of your own home. Engage in the Nefertari’s World of Beauty with a skincare consultation that will rejuvenate you in time for the holidays. The challenges of what to wear to the next holiday party can be a bit overwhelming. Before you begin tackling your fashion fear, why not relax with your favorite bath product, perhaps a natural cleansing product like Nefertari Clay! This product can be used on the most sensitive skin, guaranteeing to render a pure and gentle experience. Once you have concluded your “spa-like” experience, you will be ready to tackle your challenging fashion selections free of stress. Just like those charming gifts you purchase for your loved ones, Nefertari products are hand selected by a licensed consultant. There is no product offered in this line full of holiday treats that has not been individually tested to insure its skin success. Your personal skincare consultant will reveal beauty secret solutions are simple and soothing. Most importantly, you will not be alone to figure out your skincare products once you have returned home and the malls have closed. Your happiness for the holiday can begin with soft exfoliated skin that offers a shine so bright, everyone will want to know where you got that glow from. Every woman will want to look her best for the holiday. Not treating yourself to a new skincare solution is like a gift unwrapped. Wrap up your surprising beauty with a Nefertari product today! Your skincare consultant is dedicated to making sure your skin is happy all of the time, not just for the holidays. Can’t decide what to get? “Gift Certificate” is the answer. The holiday season is fast approaching and along with it, gift giving. 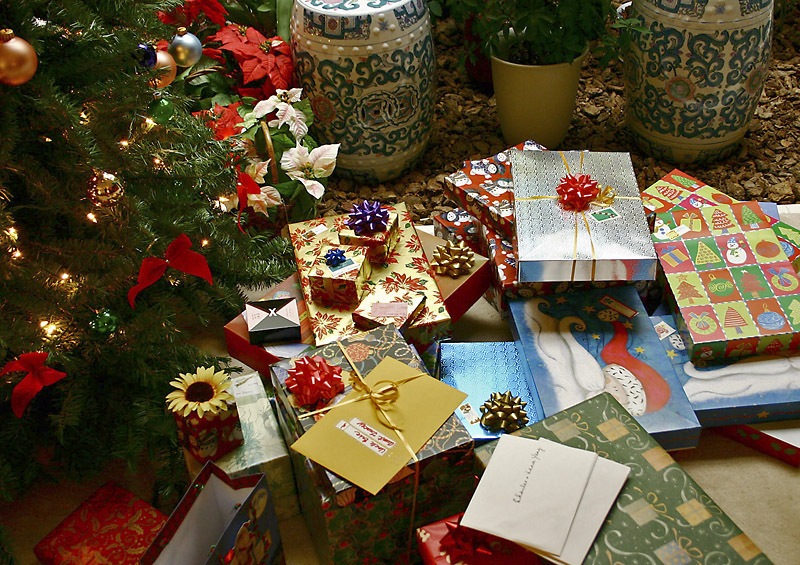 Giving and receiving gifts are what many people (even adults) like most about the holidays, though they don’t like to admit it. Choosing the perfect gift can be just as fulfilling, if not more so, then getting a great gift. As we get older, it can become increasingly difficult to come up with new and creative gifts. One option that people never tire of, especially as they get older, is spa quality, skin care gifts, such as those sold here, at www.nefertari.com. All natural body balms, moisturizers, bath and shower elixirs make for excellent stocking stuffers. A professional consultation with a Nefertari Consultation would also make a terrific gift for the right person. Who doesn’t want to reduce the appearance of wrinkles, have smooth, flawless skin or pamper themselves now and again? Gifts that allow for the aforementioned, are perfect for those who struggle with their skin, wants to ward off the signs of aging or who simply like to indulge themselves from time to time. Individuals in the market for high quality, skin care items this holiday season, need look no further than www.nefertari.com. They even stock Sothys, a skincare product line, which is found in high-end spas and salons all across the United States. There are many reasons people might want to consider shopping from the comfort of their own home this holiday season. During this time of the year, shopping becomes something of a sport, a contact sport. People get a little bit feisty and short-tempered while, looking to score presents for their loved ones (or themselves) and/or secure advertised deals. Not having to bother with or fight the holiday crowds will be a welcome reprieve for many people. For procrastinators, the holidays can be a challenge. Waiting until the last minutes to buy gifts, whether they are toys or electronics, can prove to be disastrous. Chances are the best toys and the best deals will have been long gone by then, forcing individuals to make due with what’s left over. This hardly ever turns out well, whether an individual is shopping online or off. Even online shoppers need to shop early enough so that whatever item they would like to purchase is still in stock and able to shipped early enough to arrive in time for the holidays. Those who would like a stress-free shopping experience this year should head online. There are no crowds, no lines and no fighting for parking spaces. Instead, individuals can shop when they want and where they want, without leaving the comfort or warmth of their own homes. Nefertari.com is a great place to start. How many times you needed your skin care products right a way because your flight got delayed, cancelled or luggage loss? No worries with choosing the right Travel Size Cosmetics before your trip you will save time and hassle. Pack cosmetics, including liquids and gels, in the luggage that you are checking if you would rather not carry smaller containers on board. However, if you prefer to have your makeup with you to touch up after a long flight, or if you are concerned about your luggage being lost or delayed and don’t want to spend time at your destination trying to replace foundation or mascara, you can bring small portions of those “must-haves” in your carry-on luggage. All personal cleaning items like shampoo and conditioner must be in containers no larger than three ounces. You can usually find these small plastic bottles at your local discount store or drugstore chain in the toiletries section. Pick your essential cosmetic liquids from our Travel Kits for Face & Body 1 oz. bottles. Place all those 1 oz. bottles into a quart-sized clear plastic zip-top bag. The TSA allows one bag per passenger. Transparent Travel Kits Bag makes it easier for customs inspectors to view the items.